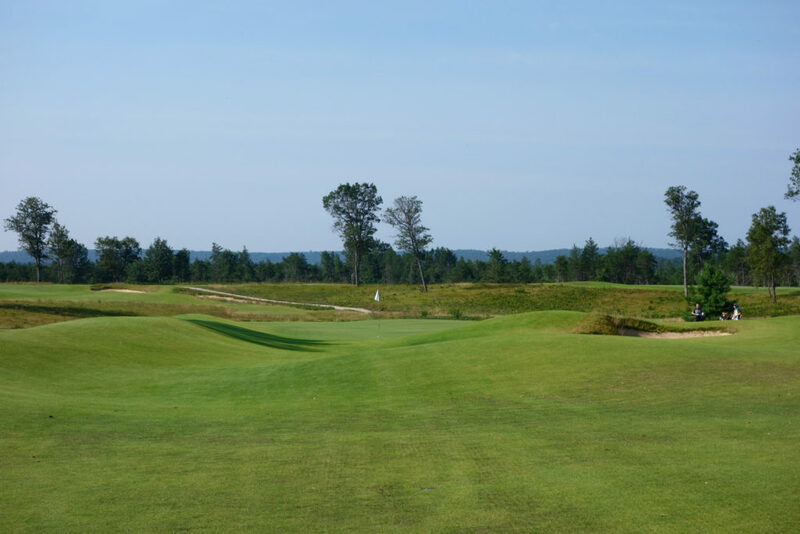 “What is a reversible course?” Those active in the golf world may think it’s an obvious answer, but I’ve been asked the question many times when describing The Loop at Forest Dunes. 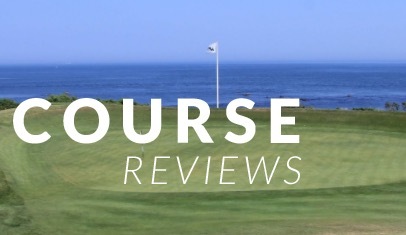 A reversible course is one where the routing can be played from the first hole to the 18th (clockwise), and then switched to play from the 18th back to the first (counter-clockwise). 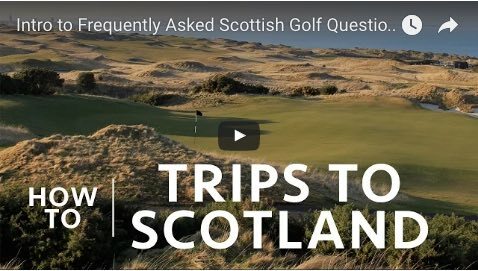 Think about that for a second and consider the difficulty of designing such a course – there are two courses and only 18 greens. 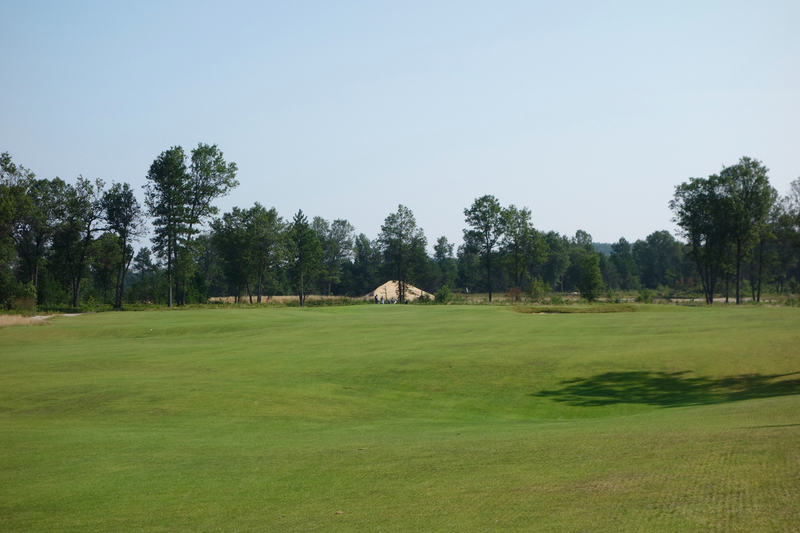 Any bunkering decisions would have to suit both “holes” playing into that green. Any uphill hole would play equally downhill the other way. A big backstop on a green from one direction is a penal obstacle coming from the other. Wouldn’t you love to pick the brains of the guy who designed it? 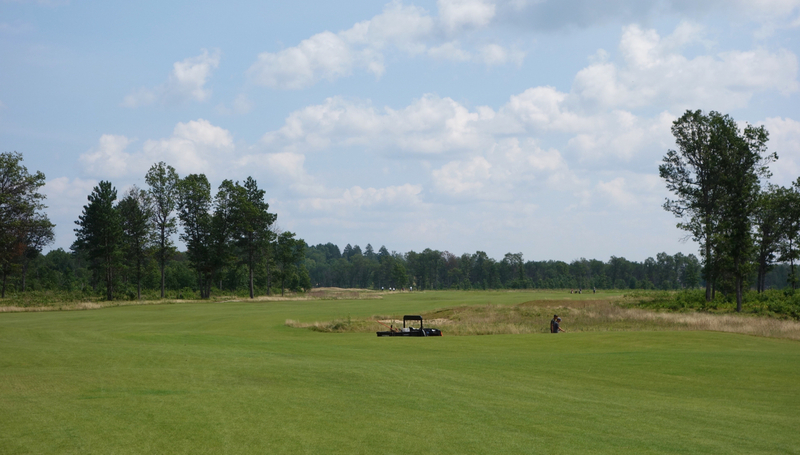 Well, I got to play The Loop at Forest Dunes with Tom Doak, the course architect who thought up the crazy idea. 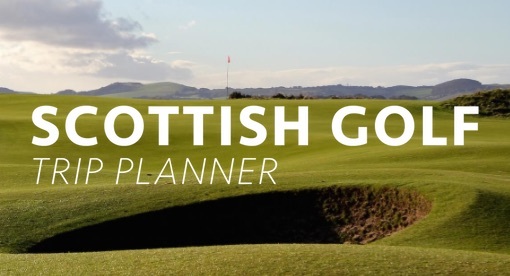 Doak told me that he’d had the idea in his head for many years (the routing on the St Andrews Old Course has been switched in the past), but he’d never found the right site (or owner) suitable for a reversible design. 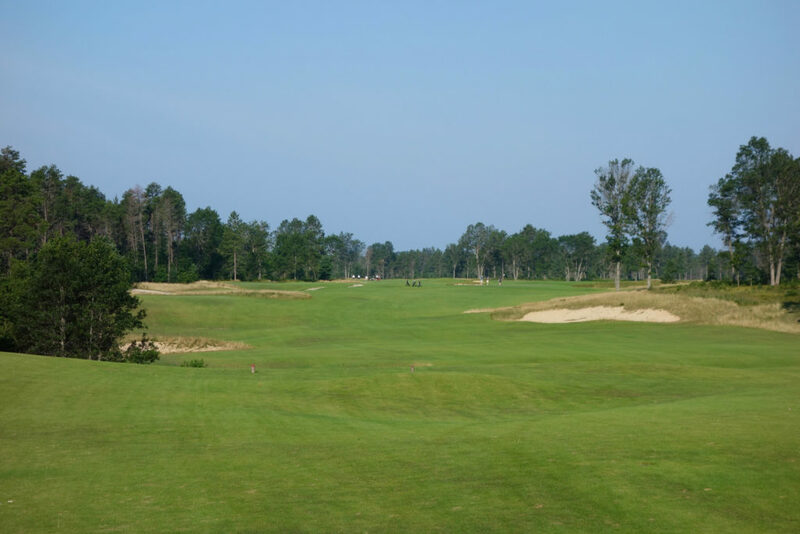 When Forest Dunes owner Lew Thompson met with Doak and described his desire for a second course at the property that could keep guests on site for at least one more day, Doak’s mind jumped to a reversible design. He then saw the land and discovered it had the perfect amount of undulation – large hills were a no-no on the reversible design. Thompson was up for the idea and it took off! The decision was made that the routing would switch from one direction (Red) to the other (Black) every other day. By 2016 when The Loop opened, Thompson had three courses at Forest Dunes for the price of two, and guests were now staying at least twice as long on property. 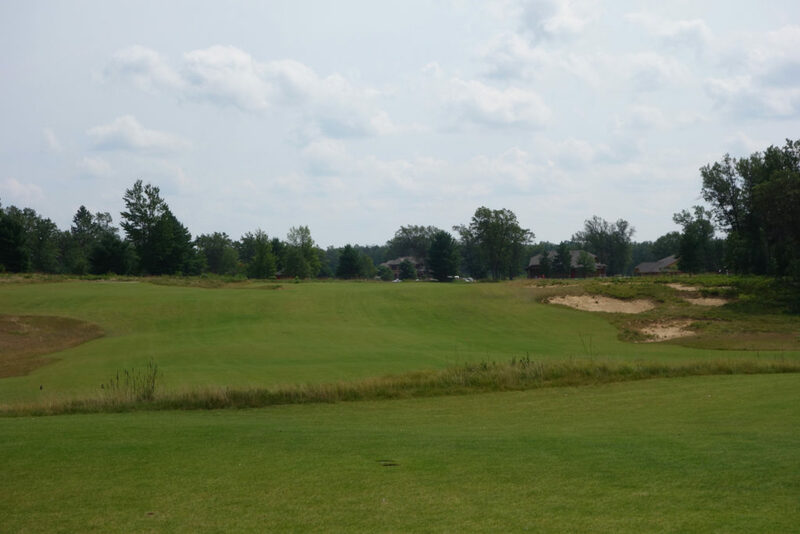 I made the journey to Forest Dunes in Roscommon, Michigan – roughly three hours north of Detroit – for my work at LINKS Magazine. 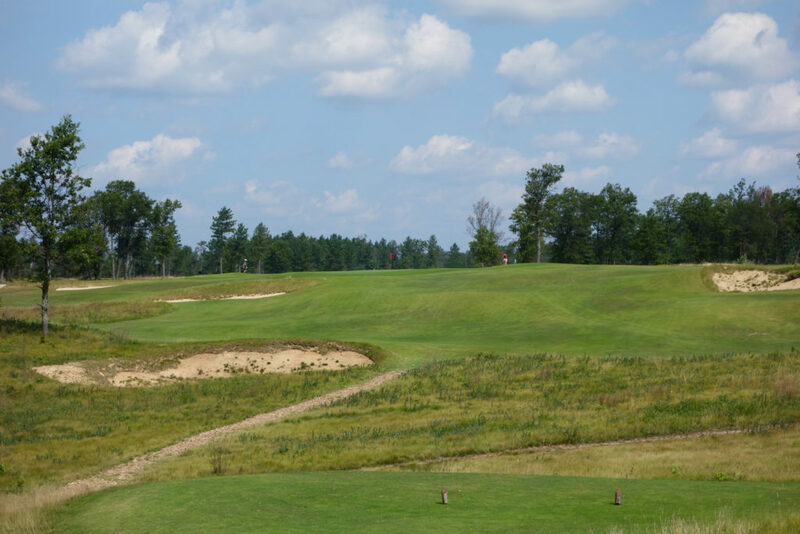 We were in Michigan on another assignment, but we decided to add The Loop to the itinerary, knowing we’d only have time for a single round on The Loop. The idea of playing a reversible course only one direction seems like sacrilege, but fortunately on the evening of our arrival, Doak took us around the Red Course to show us the routing we’d miss the next morning. 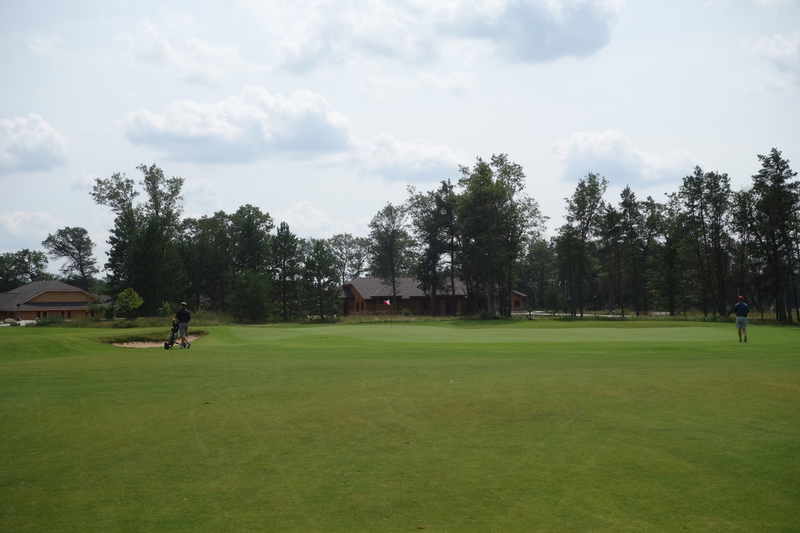 Our round was on the Black Course at The Loop, which plays the routing in a clockwise direction. We had a quick breakfast and made our way to the first tee. 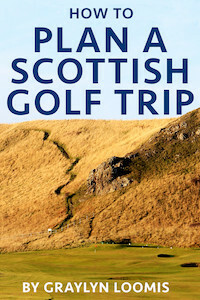 If you want a fun exercise in understanding the course, check out the yardage book on this page. You can see how everything is laid out. Hole #1 – 434 yards – The Black opens with a wide fairway and large green that spills off on three sides. 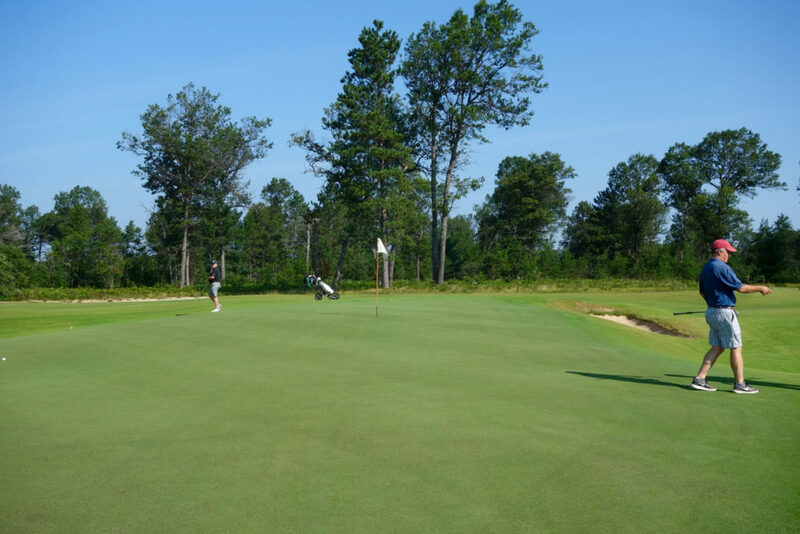 Being above the hole here leads to a rough downhill putt. 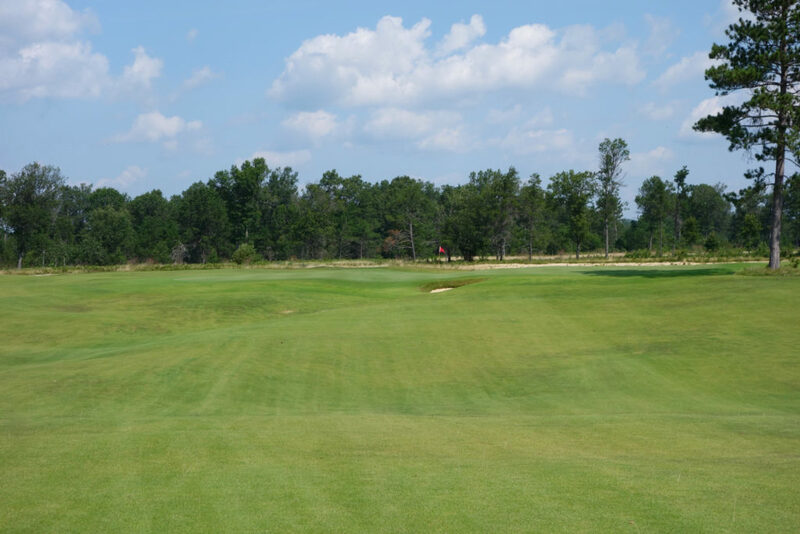 Hole #2 – 146 yards – This beautiful par three has a large green and single bunker that guards the left side. The bunker forces you to miss right and contend with a sloping green, but the better miss is actually in the short grass left of the green and beyond the bunker. Hole #3 – 406 yards – This par 4 is one of the best on the course. 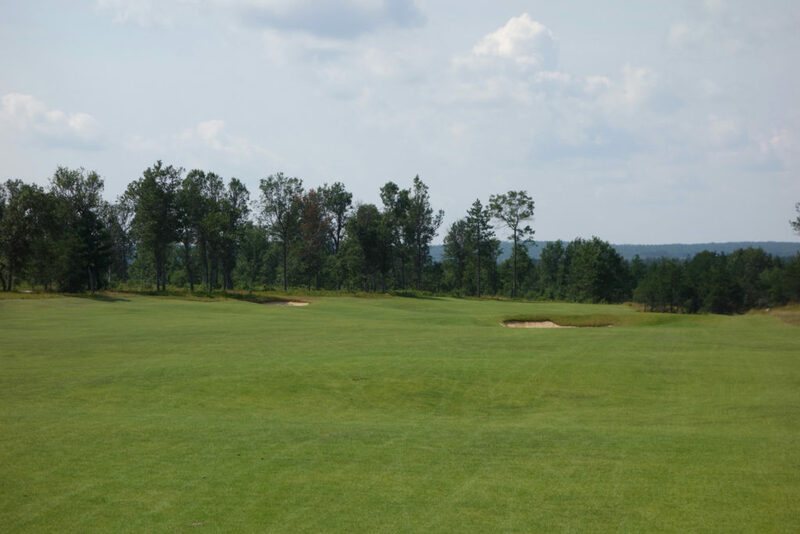 Two deep bunkers guard short right and a center line bunker in the fairway forces golfers to think off the tee. There is also some visual trickery here with the bunker/waste area behind the green. 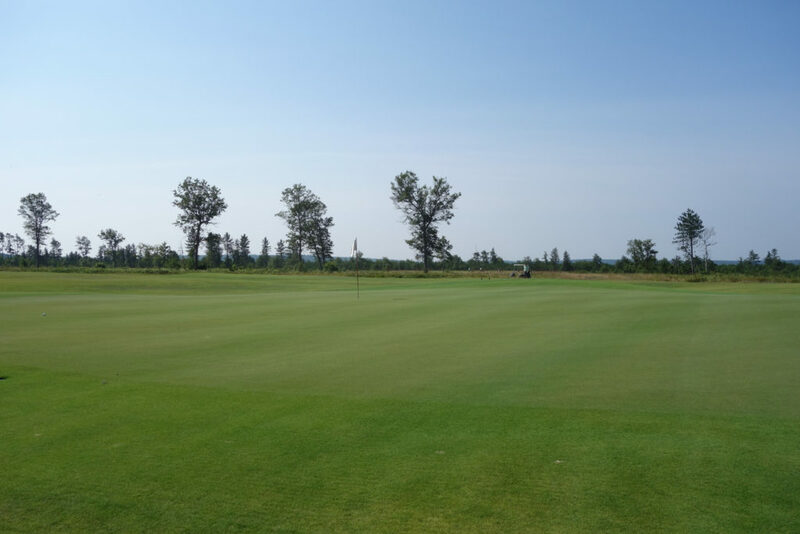 It’s intimidating and in person appears to be just behind the putting surface… it’s actually about 50 yards beyond the green. 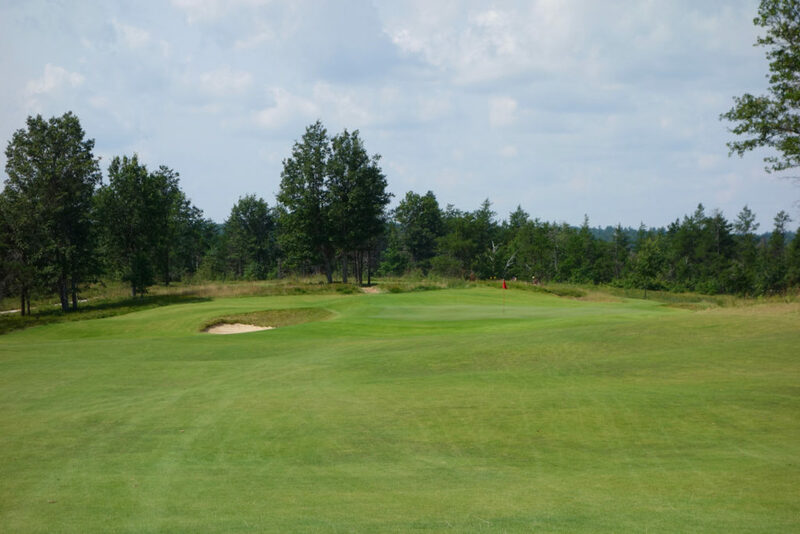 Hole #4 – 324 yards – The fourth is packed with strategic decisions – it was one of my favorites on the course. 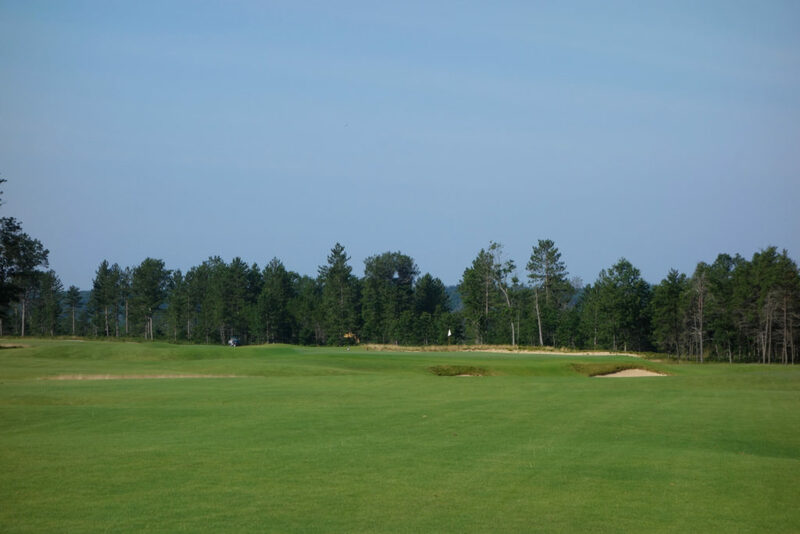 Off the tee you can hug the left tree line and rough, which provides a much easier approach. 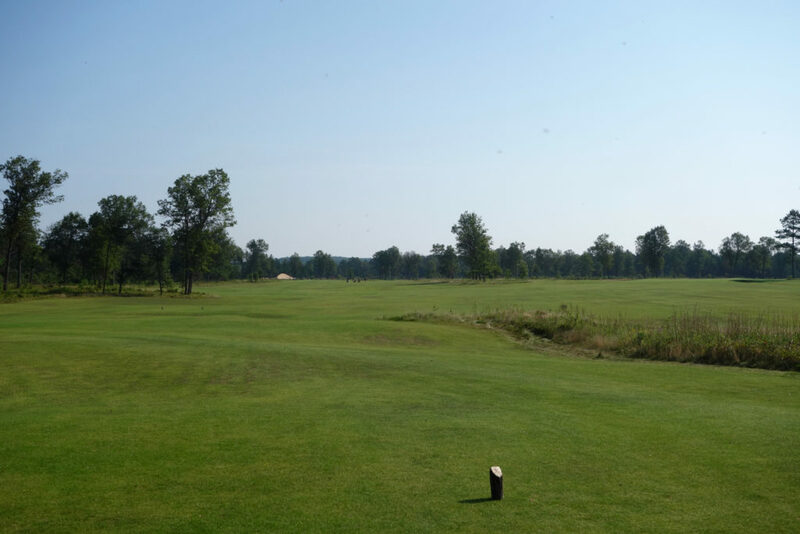 Alternatively, you can play out right off the tee to a much more open part of the fairway. The payoff is a much tougher approach over the deep front right bunker. 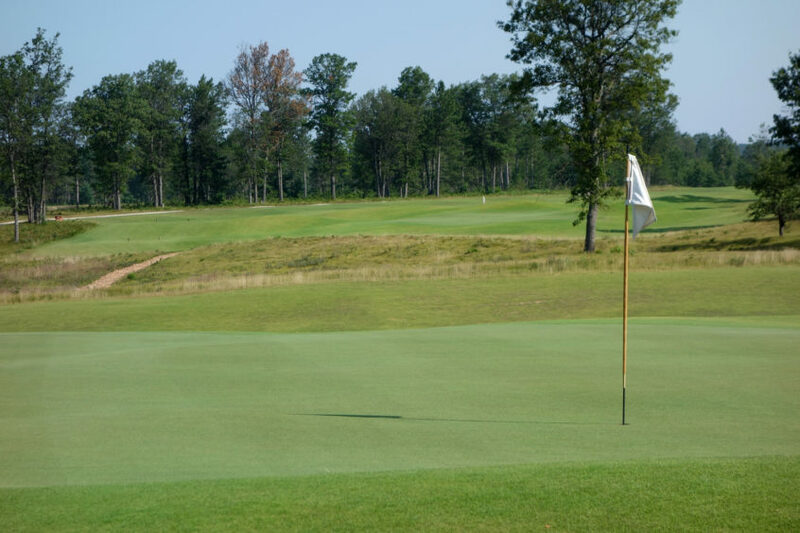 Fortunately, if playing from the right, you can use the kick plate mounding short of the green to bounce a ball down onto the putting surface. 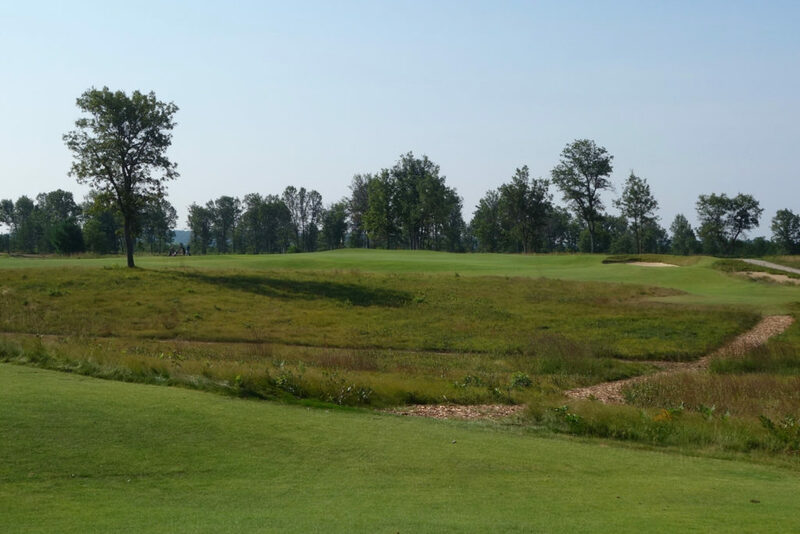 Hole #5 – 164 yards – You can just barely make out a white flag in the treeline in the distance. 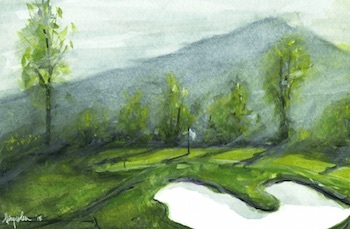 This par 3 plays slightly uphill and anything short will roll back off the front of the green. 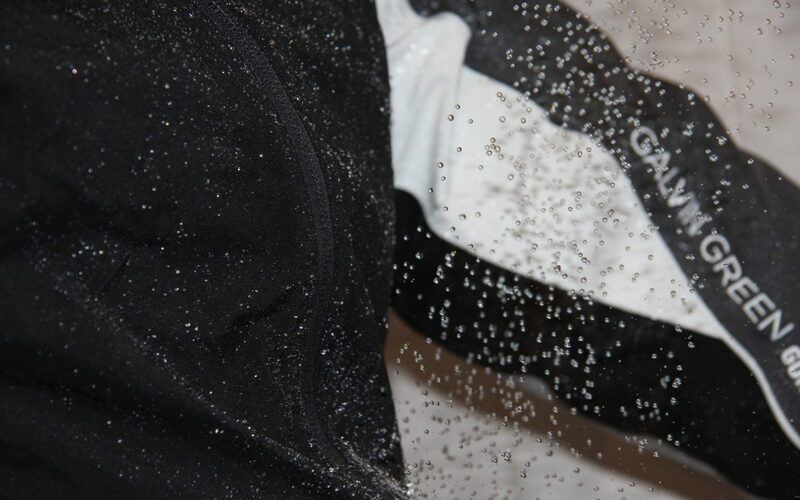 If you carry the backstop at the rear of the green as I did… you’re dead! Best miss is short. Hole #6 – 483 yards – This par 5 is long and straight with the real interest at the green. The third photo below is taken from the right side looking across the green to the left edge. 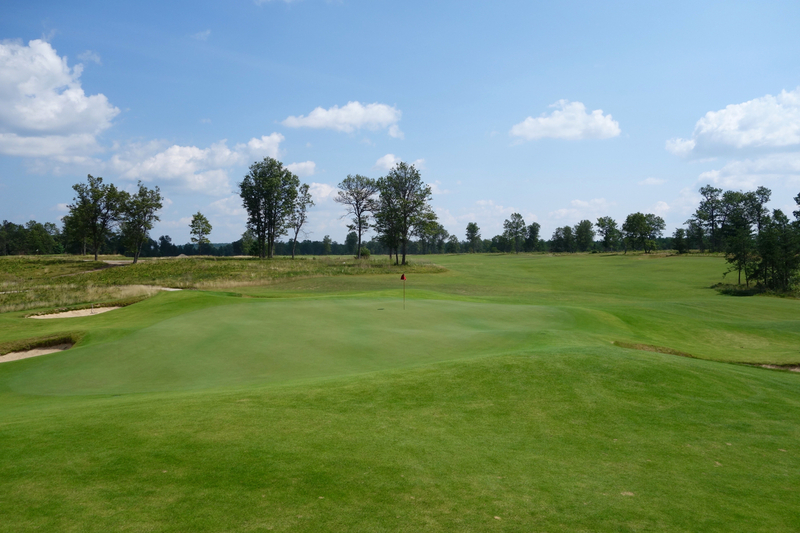 You can see the green’s narrowness and the evil hidden bunker immediately behind the green. 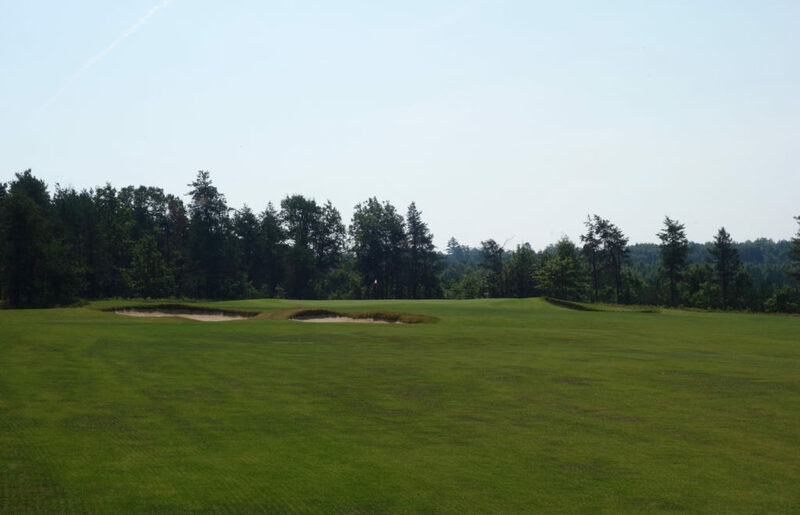 The best miss is short and right, but the crowned green shrugs off most approaches and even introduces the possibility of putting into that bunker! 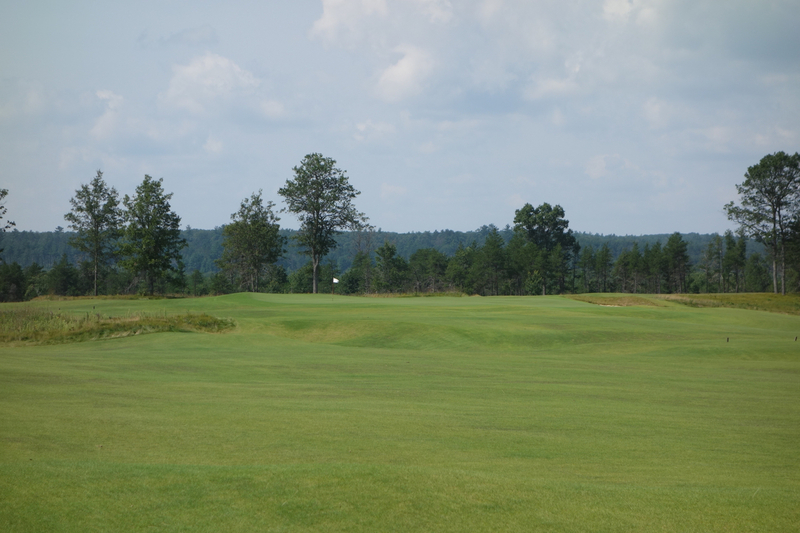 Hole #7 – 296 yards – Another great short par 4 here. 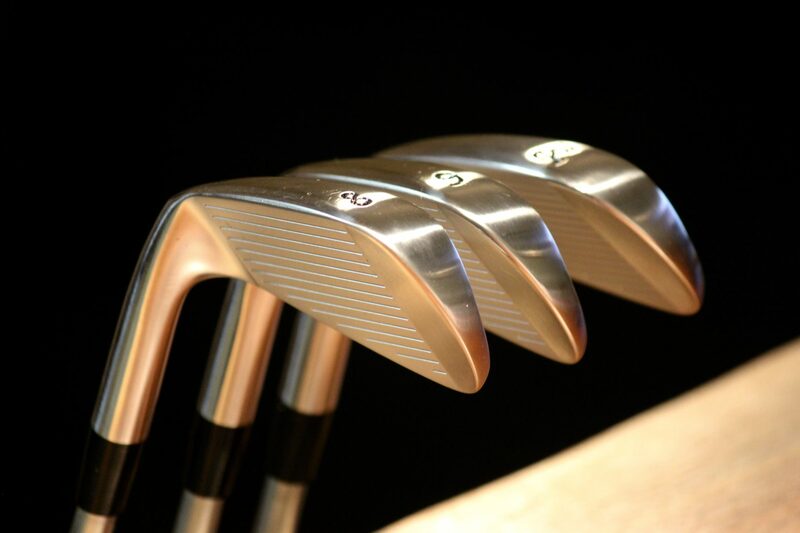 The second photo below doesn’t do the sloping green justice, but there’s some serious right to left movement there. Anything right of the green kicks hard left, making for some very fun chips and approach shots. Hole #8 – 120 yards – This hole played directly into the sun, so the photos didn’t turn out very well. It’s a short par 3 with tons of room on the large green. Even with that in mind, those two deep front bunkers are all you can think about on this tee. 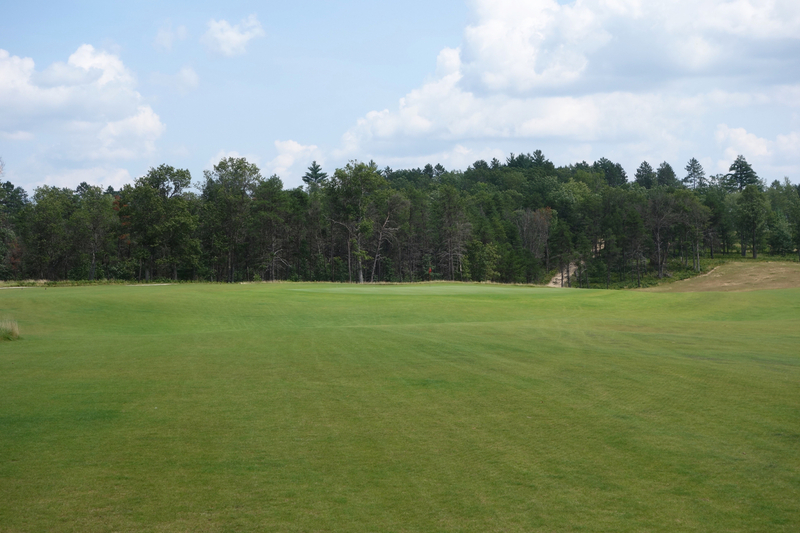 The second photo is taken from the left edge of the green showing just how large it is. 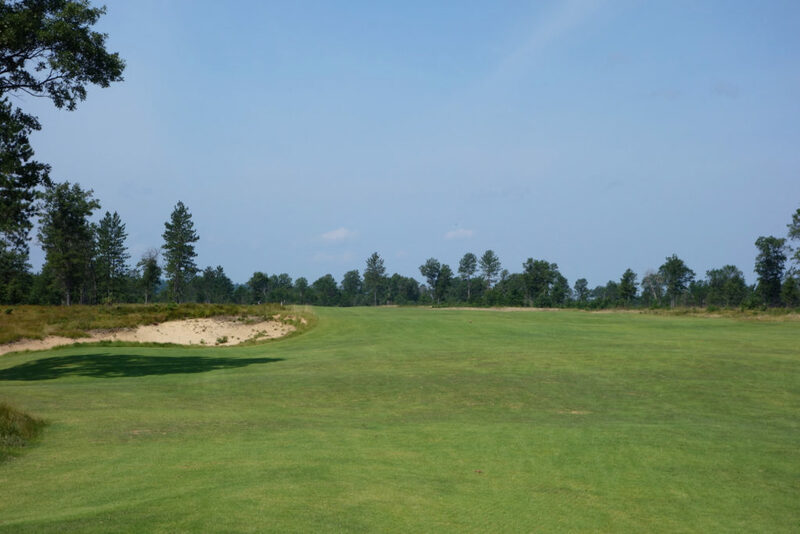 Hole #9 – 424 yards – This long and straight-away par 4 forces golfers to favor the left side of the fairway due to a grouping of bunkers on the right. In turn, golfers then have to content with the two bunkers seen in the fairway below. 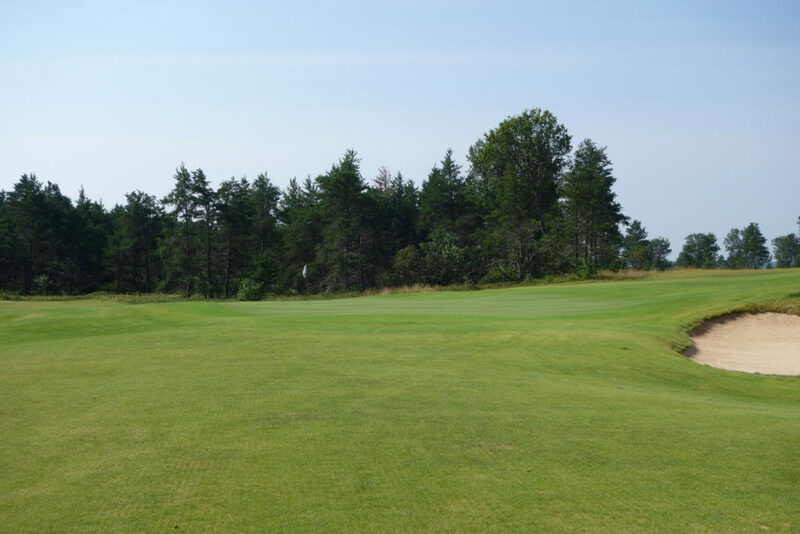 From 165+ yards out, they look to be greenside, but as you approach them you realize they’re actually 65 yards short of the green. Another visual trick from Doak and his team. 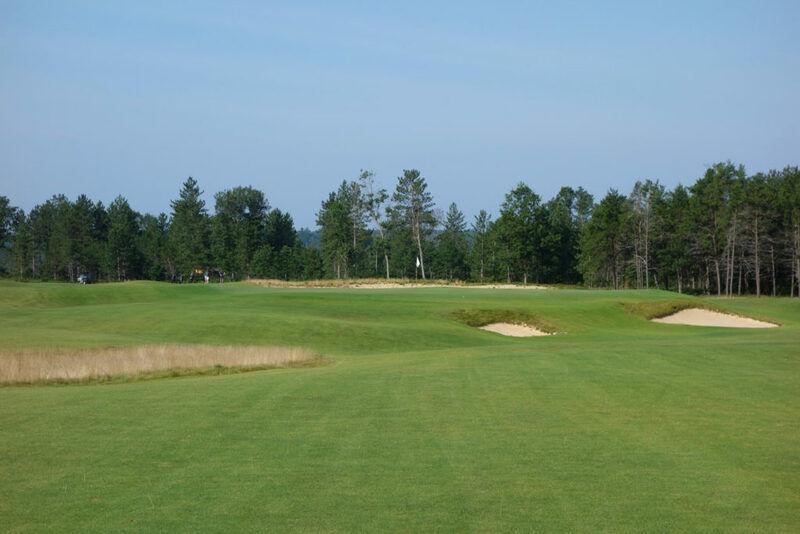 Hole #10 – 546 yards – This par 5 plays straight away with a slight left curve. 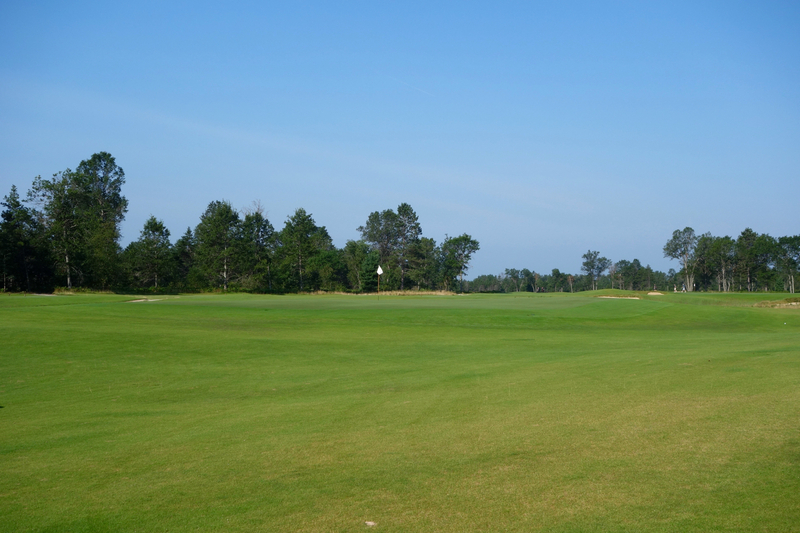 Instead of bunkers to concern players, subtle slopes in the fairway and green kick the ball to potentially good or bad positions. Hole #11 – 397 yards – A sloping fairway leads to the green seen in the photo below. A single pot bunker guards the entrance to the thinnest part of the green, which is the bottom of a swale in between two plateaus. This green is a Biarritz from one direction (the 7th on the Red routing), but a fun variation on that template from this angle. 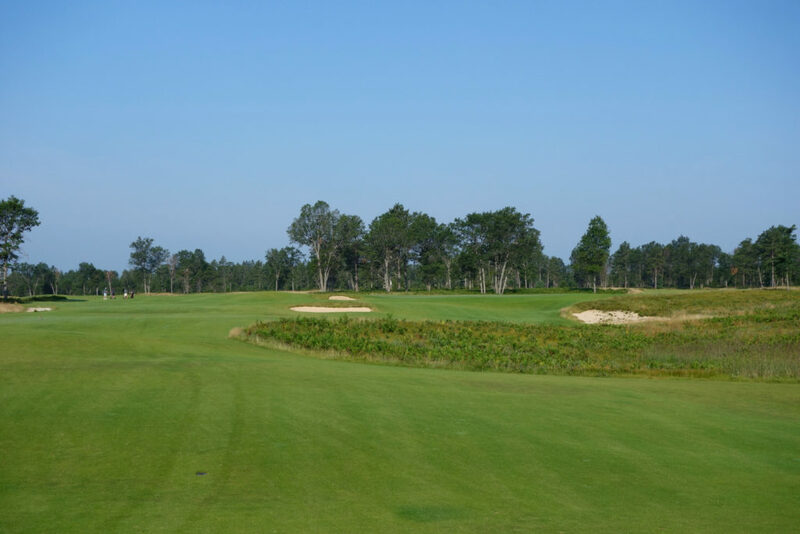 Hole #12 – 321 yards – One of the best par 4s on the property, this dogleg right entices golfers to carry the right bunker to leave a short approach. The sloping greens offers tons of pin placements – just avoid the bunkers at all costs! Hole #13 – 195 yards – This beastly par 3 plays uphill to a green that appears to be wafer thin. 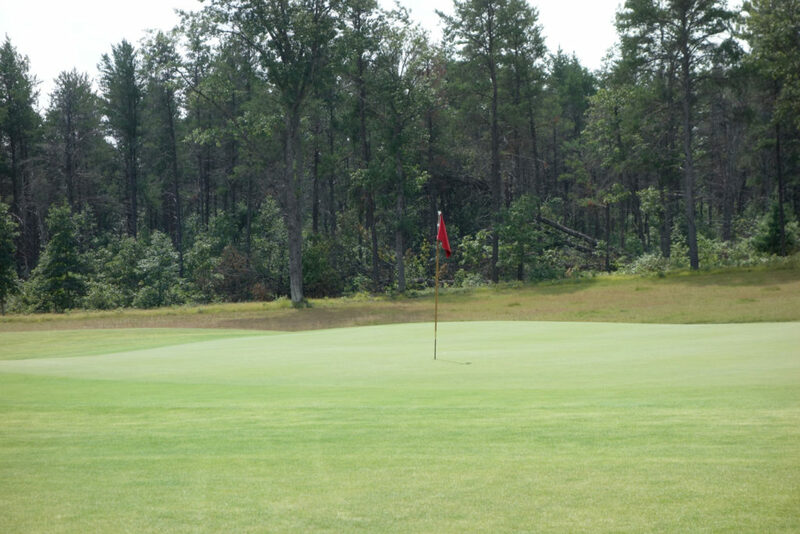 In reality, the green is larger than it looks, but it slopes away from you, making for a tough approach. 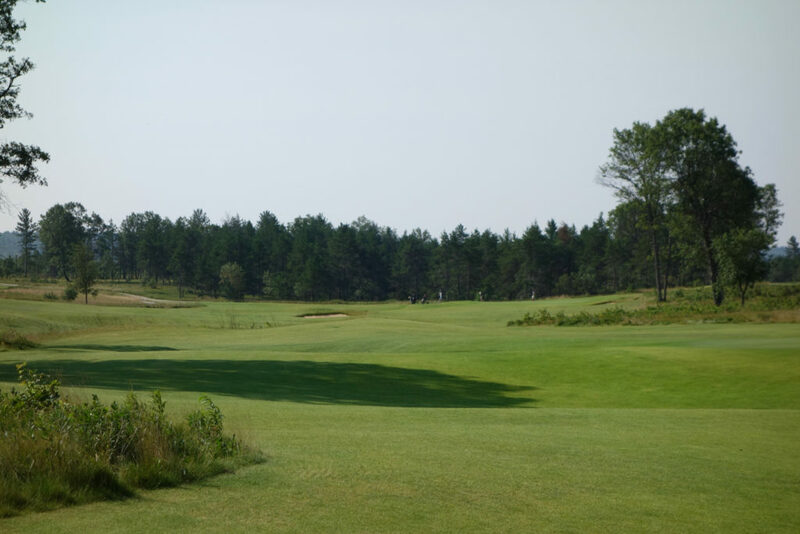 Hole #14 – 430 yards – The 14th follows natural movement in the landscape to a green the feels slightly like a reverse Redan. 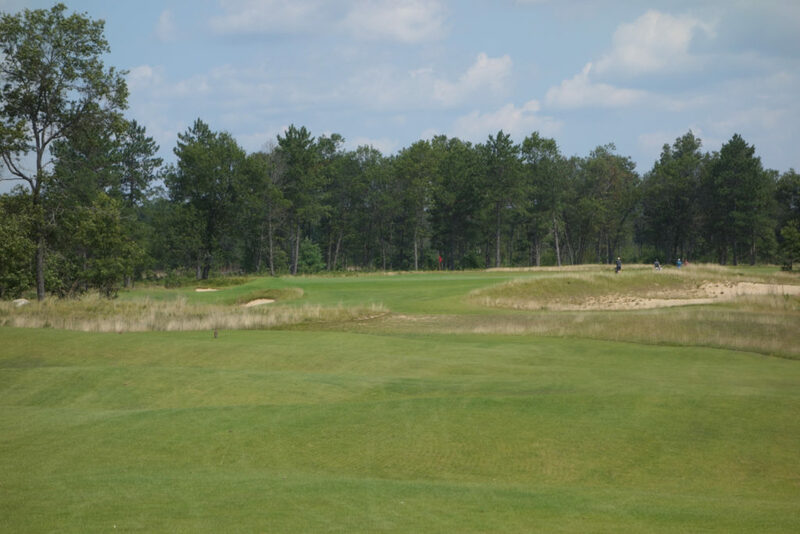 Hole #15 – 179 yards – The final par 3 on the course is a chance for a birdie, but stray from the green and it’s a hard par. The bunker/waste area on the right is further from the green that it appears and it’s very deep. 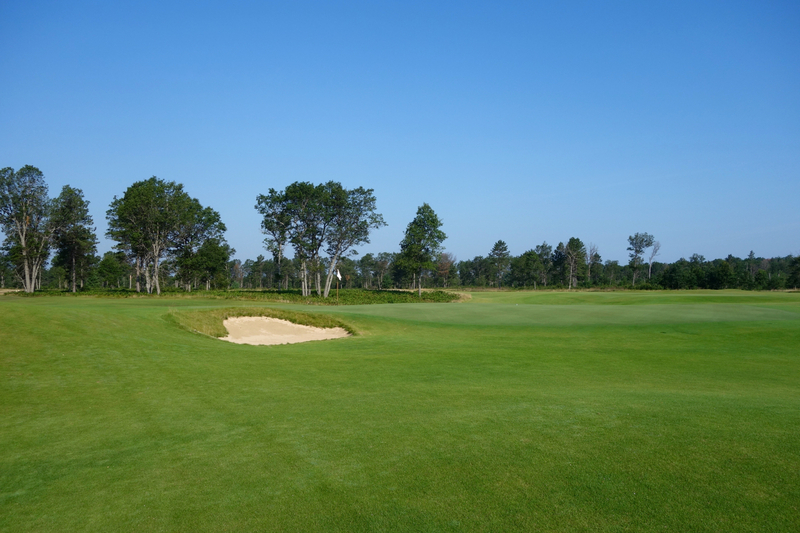 Hole #16 – 393 yards – An easy tee shot leads to a tough approach on this classic Biarritz green. 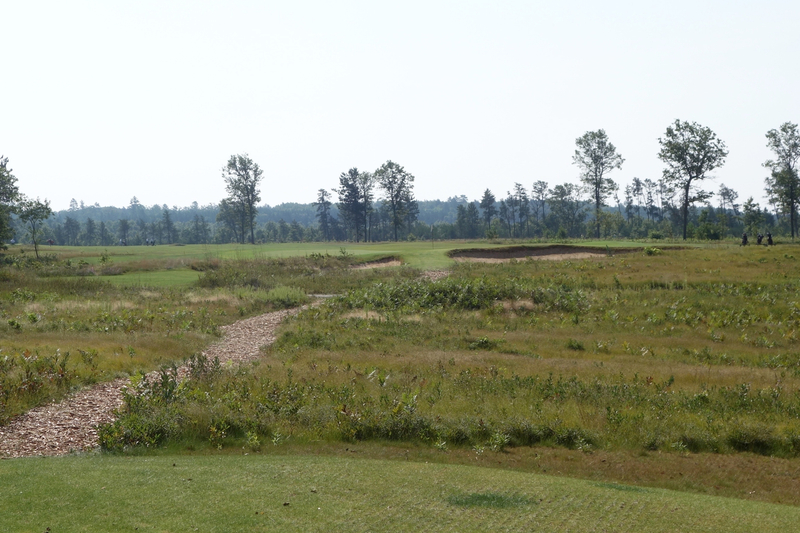 The pin was down in the swale on our day of play, but back left or right would be have been very difficult. The green spills off on all sides as well, adding to the challenge. 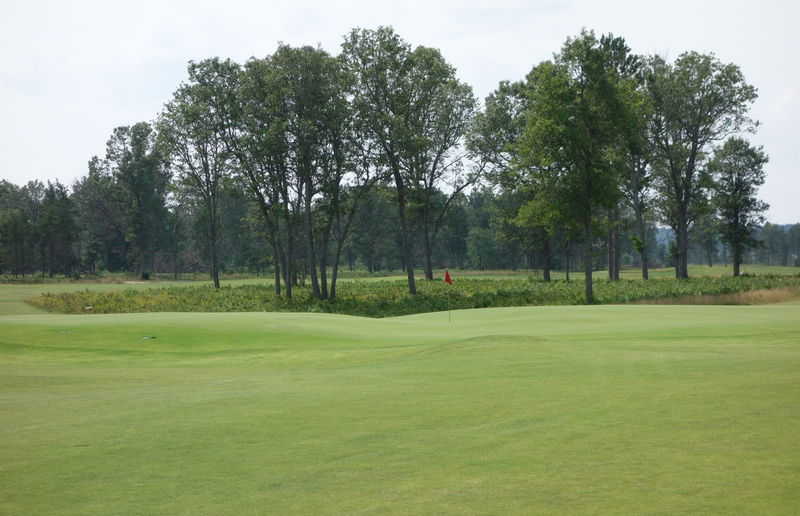 Hole #17 – 491 yards – This is a final birdie chance on the course. Those going for the green in two will love the lack of bunkers and the large open area surrounding the putting surface. Hole #18 – 329 yards – The final hole may appear short, but it’s easy to get in trouble. 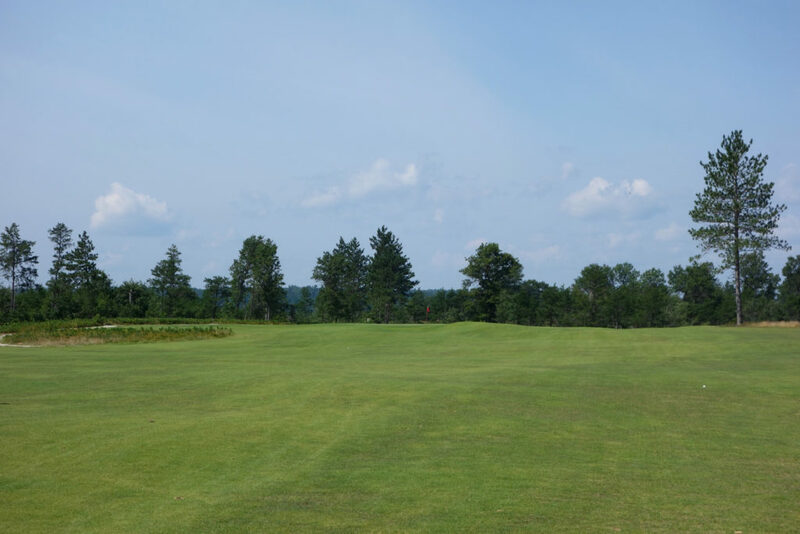 There is a bunker on the left side of the fairway not visible from the tee. Likewise, a left pin on this green introduces more slope and difficulty to any approaches and putts. 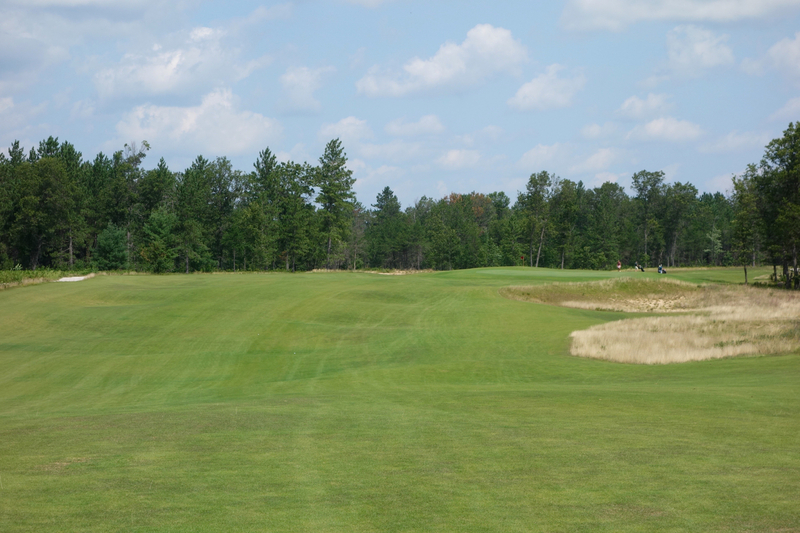 It really does feel like sacrilege to play The Loop at Forest Dunes in only one direction, but timing didn’t allow for another day at the property. 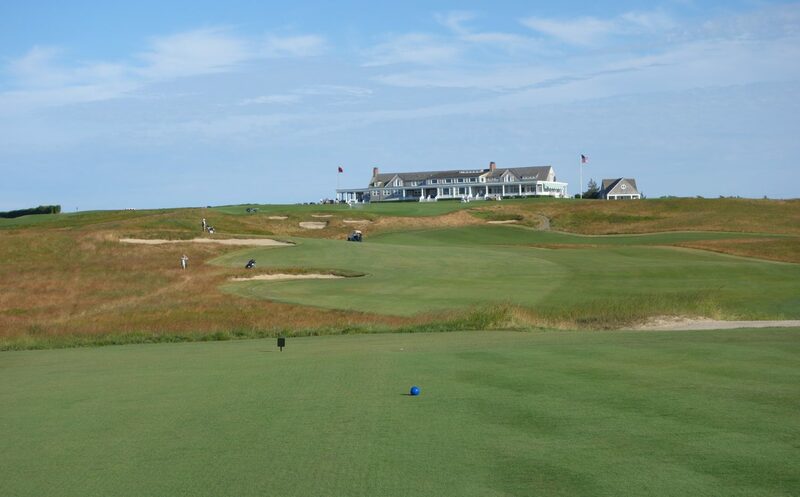 Getting to play the Black Course and tour the Red Course with Tom Doak made for a learning experience that I’ll always value. I’m sure I’ll be back again one day, and you can be sure I’ll see both routings!